A retired physician reflects upon his past, enjoys many adventures in the present, and meets someone who will fulfill his life’s desires for the future. Nostalgia, thrills, and romance. 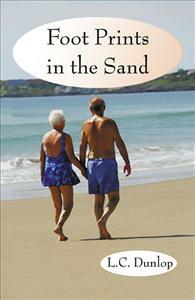 While on the beach, enjoying his retirement, Dr. Walter Hudson reflects back to the mid 1930’s upon many of the events of his childhood, which shaped his life and events of his later life, which helped shape the lives of others—his footprints in the sands of time. Then, while following some real footprints in the sands of the beach, he meets someone who will be important in shaping his future. A book of nostalgia, adventure, and mature love. Beautifully written! This is a story that will touch your heart and soul, drawing you into the love for fishing, as well as a most wonderfully compassionate relationship that blossoms in the "later years". You won't want to miss out on the adventure! I thoroughly enjoyed reading this book. It took me back in time and brought to mind so many wonderful memories! As you walk in the footsteps of the author, you will experience joy, loss, wonder, life, companionship and love. This is a "September Song" love shared between two people during their latter years. The book is warm, refreshing and passionate. You will love it too. Charming story of nostalgia, a love of fishing, and "mature" love. Plenty of adventure, whether fishing the tropics, escaping the fury of a hurricane, or receiving that "first kiss". Excellent read!